Americans feel like home in neighboring Canada, taking the lead in the Vancouver Olympics medal count right from the start. 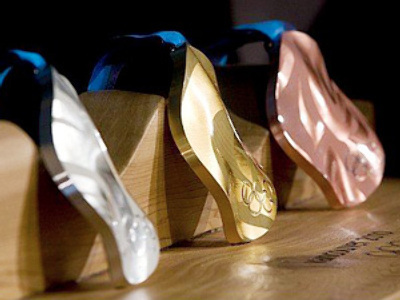 The US athletes brought their country one gold, one silver and two bronze medals on Saturday. 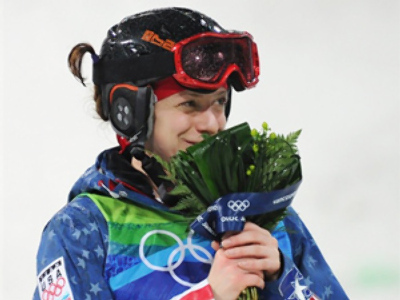 They won two medals in Freestyle Skiing ladies' moguls. Hannah Kearney triumphed at the Cypress Mountain, leaving reigning Olympic champion and home favorite Jennifer Heil behind, with the result of 26.63 points. “I heard the crowd, I heard Jenn’s score, and I knew I’d have to have the run of my life. I’m very glad she scored a good run because it means more to me to come out on top,” the Boston Globe cited the new champ. The bronze went to another American athlete, Shannon Bahrke, who received 25.43 points from judges. More luck for the US came in men's 1,500 meters short-track competition, where they took silver and bronze. The gold medal winner Lee Jung-Su of South Korea was followed by Americans Apolo Anton Ohno and J.R. Celski. But the very first gold medal at Vancouver 2010 Winter Olympics was taken by Swiss ski jumper Simon Ammann. Russian-born Anastasiya Kuzmina became the first ever Slovak to grab the Olympic gold. The 25-year-old got a shock win in the women's 7.5-kilometer biathlon sprint, seeing off silver winner and favorite Magdalena Neuner of Germany. Marie Dorin of France was third, denying 4th placed Anna Boulygina a bronze medal. Another Russian Top 10 finisher was Olga Zaitseva, who came in 7th.